BMW's EfficientDynamics Vision concept car combines the best of all worlds with incredible fuel efficiency, breaktaking performance, and sensational looks. It's powered by a three-cylinder turbo-diesel engine, lithium polymer batteries, and electric motors front and rear. The first 31 miles each day are on battery power. The BMW Vision gets a U.S. unveiling next week at the Los Angeles Auto Show, Dec. 4-13. 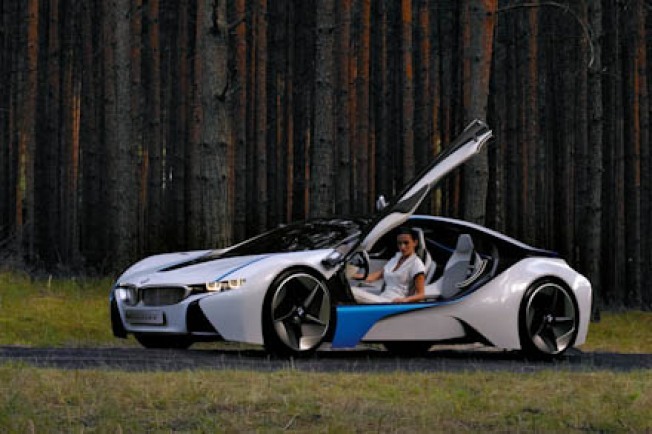 The only bad news: The BMW Vision is more vision than production-ready concept car. What you'd most likely see on sale would be the key components such as the drivetrain and battery technology transplanted to a more mainstream body. See the full story in Gearlog Car Tech.